The Toronto city council has decided to strip Mayor Rob Ford of most of his authority, as the embattled city leader resists growing pressure to step down. On Monday, the council transferred most of Rob Ford’s budget and many of his powers to the deputy mayor. 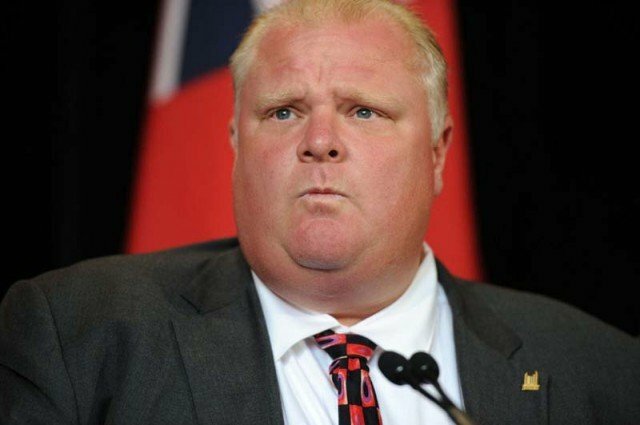 Rob Ford, 44, who has promised to fight the council’s decisions, criticized the vote as a “coup d’etat”. The mayor of Canada’s largest city has faced intense pressure to resign after admitting to using illegal drugs. In recent weeks he has also acknowledged buying illegal drugs while serving as mayor. Rob Ford abstained from Monday’s vote, but promised “outright war” in the next election against the councilors who opposed him. “What’s happening here today is not a democratic process, this is a dictatorship,” he told the city councilors. And Bob Ford refused to apologize, saying he had done enough apologizing already. “I’ve admitted my mistakes,” he said. Earlier in the heated council meeting, Bob Ford ran through the gallery, accidentally knocking over city councilor Pam McConnell before catching her. Pam McConnell was later seen holding ice to her lip. Monday’s motion reduces Bob Ford’s office budget by 60%, and allows mayoral staff to join deputy mayor Norm Kelly, largely making Bob Ford mayor in name only. The council does not have the power to remove Bob Ford from office unless he has a criminal conviction. Councilor Denzil Minnan-Wong, once a Bob Ford ally but now one of his most outspoken critics, said the mayor’s conduct was embarrassing the city. “He’s the worst spokesman for the city of Toronto right now,” he said. The Toronto council began stripping away Bob Ford’s powers on Friday, voting 39 to 3 to prevent him from being able to dismiss the deputy mayor and taking away his emergency powers. Despite the scandal, Bob Ford does not seem inclined to shun the spotlight.